EDINBURG — Everything UTRGV graduate senior guard Tyson Smith did with the game of basketball was designed to pay off for him this season, his final year of eligibility. Coming to Edinburg was the hard part, although much of that had to do with geography. Smith grew up in an East Baltimore household where the expectations were high. Smith wasn’t getting looks from the colleges he wanted after his four-year stint at Baltimore’s Milford Mill Academy, so he elected to spend a post-grad year at Westwind Prep Academy in Phoenix. In 2013-14, Westwind Prep, which was then coached by UTRGV assistant coach Jai Steadman, fielded several players who went on to compete on the Div. I level, including Smith’s UTRGV teammate Terry Winn III. Smith spent a season at the College of Southern Idaho, one of the most-storied programs in junior college basketball. He played well enough to earn a scholarship at Loyola-Chicago. But Smith’s time as a Rambler was filled with ups and downs. He was mainly a reserve who played in 49 of Loyola’s 64 games during his first two seasons in Chicago. Smith then took a medical redshirt to rehab an ACL injury last season. Smith’s redshirt year coincided with his team becoming one of the most fascinating stories of the college basketball season. The Ramblers were considered as a team on the bubble entering the week before the NCAA Tournament, but they clinched the Missouri Valley Conference’s automatic bid to the Big Dance. Fast forward through unforgettable buzzer-beaters, monumental upsets and the meteoric rise of then-98-year-old team chaplain colloquially known as Sister Jean, Loyola-Chicago crashed its way to the 2018 NCAA Men’s Final Four. It was at last year’s Final Four in San Antonio where Smith bumped into a familiar face: his old prep school coach Steadman. The relationships formed at a one-year prep school in Arizona helped Smith make UTRGV his final collegiate destination. 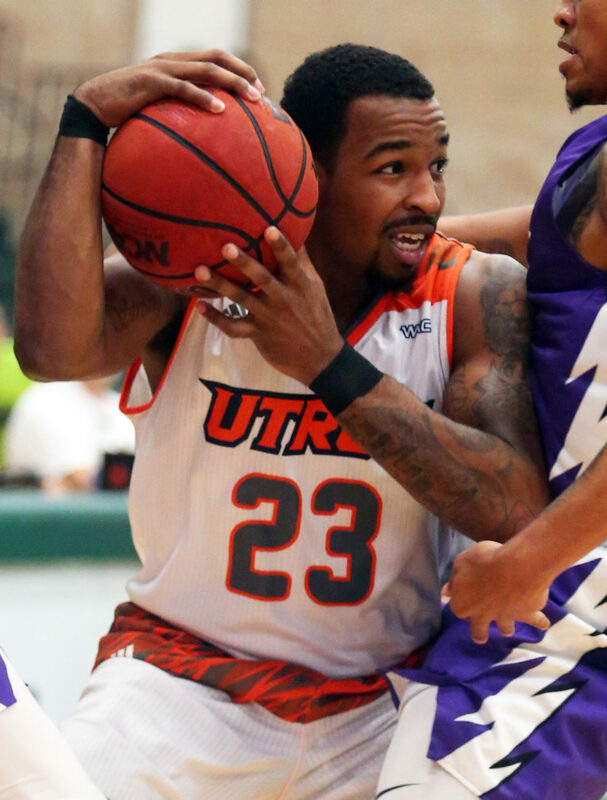 Smith began this season off the bench, but he worked his way into UTRGV’s starting lineup at the end of November. He’s fourth on the team in scoring (9.2 points) and is the club’s top 3-point shooter (33.0 percent). A Smith 3-pointer late in the second half of UTRGV’s WAC opener at California Baptist put the Vaqueros (9-11, 1-3) in front for good. Smith lost his starting spot in December.